Since reading Kaddish for the first time, Ginsberg’s masterpiece has become an obsession for me. Allen wrote the piece three years after his mother’s death, and in one week it will be the three-year anniversary of my father’s death. 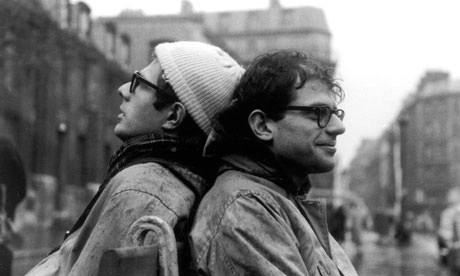 While the relationship I had with my father and the mental state of my father is far different than Ginsberg’s descriptions of his mother and their relationship, I identify with his need to express his deep sorrow, anger, and confusion through his unorthodox prayer. This work is a Kaddish for my father the closely follows the form of Ginsberg's Kaddish that so deeply influenced my own emotional healing and grieving process. KRENITSKI, Scott S. A Kaddish for Robert. AmeriQuests, [S.l. ], v. 7, n. 2, sep. 2010. ISSN 1553-4316. Available at: <http://ameriquests.org/index.php/ameriquests/article/view/212>. Date accessed: 25 apr. 2019. doi: https://doi.org/10.15695/amqst.v7i2.212.